Wow! It’s that time again. Twitter Taste Live! This time, the good folks at Twitter Taste Live & Wilson Daniels are bringing us a delicious trio of Pinot Noir. 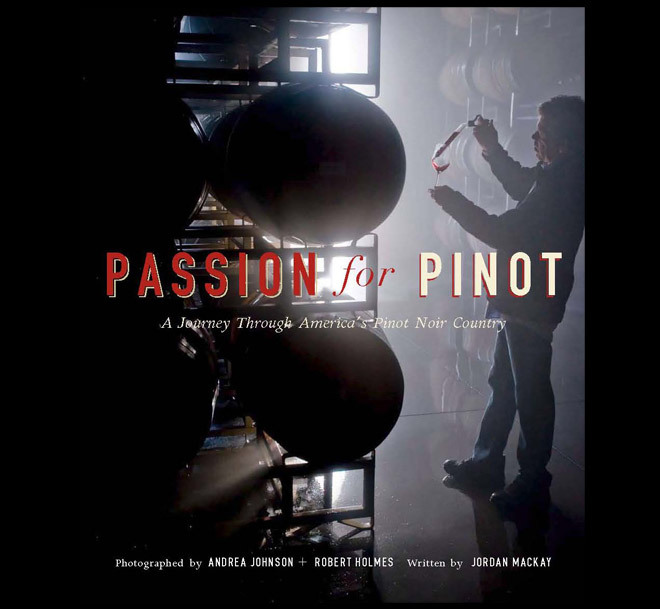 This TTL is dedicated to the love of Pinot, particularly since Jordan Mackay, the author of Passion for Pinot, will be in attendance at The Jug Shop to show off the book. For this event, we have several groups getting together. I will in Healdsburg with a posse of wine bloggers, including Matt (@mmwine), Shana (@sharayray), Amy (@winewonkette) & Joe (@houstonwino). After enjoying a day of Barrel Tasting in Dry Creek, we will settle down for dinner and pinots. Having been one of the elite pre-tasters with Agent Red at Wilson Daniels in January, I am anticipating this live tasting event more than others. If you have any trouble finding the “official” wines, just grab your favorite pinot and taste along! Hope to see you in the Twitterverse.